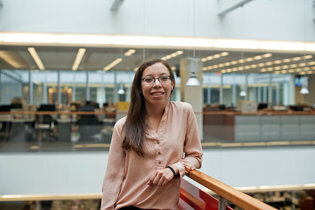 Maria graduated in December from the University of Texas at El Paso, where she was the managing editor of the student newspaper, The Prospector. Last summer, she was a Dow Jones News Fund business reporting intern at Crain’s Detroit Business. She will attend the Walter Cronkite School of Journalism and Mass Communication at Arizona State University to study for a master’s degree. She is a member of the National Association of Hispanic Journalists.